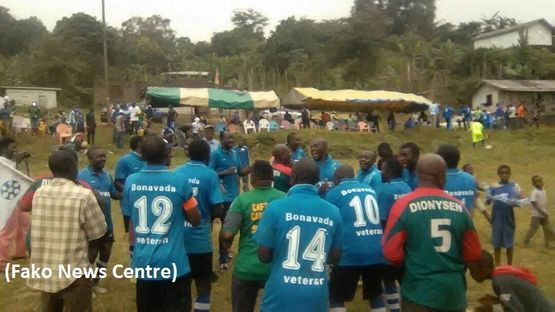 Some BONAVADA youths home and abroad on Saturday December 23, 2017 gathered at the Wonakanda (Bonakanda) Community field to pay homage to some of their brothers who have gone ahead.To honour their late brothers, Mbua Njie Lawrence and Mbella Mondoa, a football match was organized pairing BONAVADA Veteran Football Club against BONAVADA Selection (a selection of players who have played in football teams that have participated in inter-quarter football competitions organised in the community). 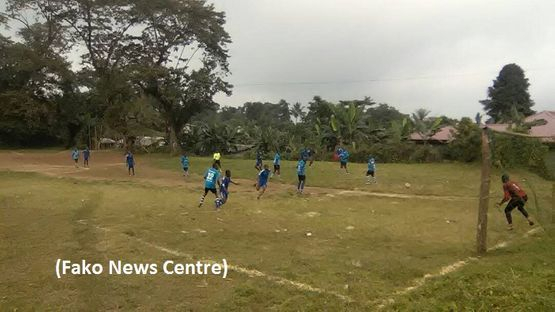 The match that ended on a 4-2 score in favour of BONAVADA Veterans gathered hundreds of spectators especially youths spending holiday in Wonakanda, Wova I and II, Wokova, Wokwai, Bwitingi and other surrounding villages. 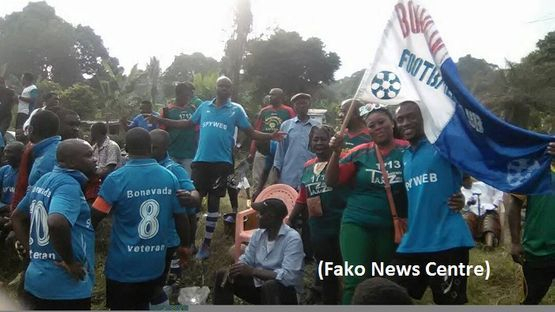 Before the football encounter, the youths visited the graves of Mbua Njie Lawrence in Wova I and that of Mbella Mondoa of Wonakanda in the presence of their family members. Talking to Fako News Centre, one of the members of the organising committee, Mbua Emmanuel, explained that honour event is to encourage others to note that whatever contributions they are making in the community is being noted. 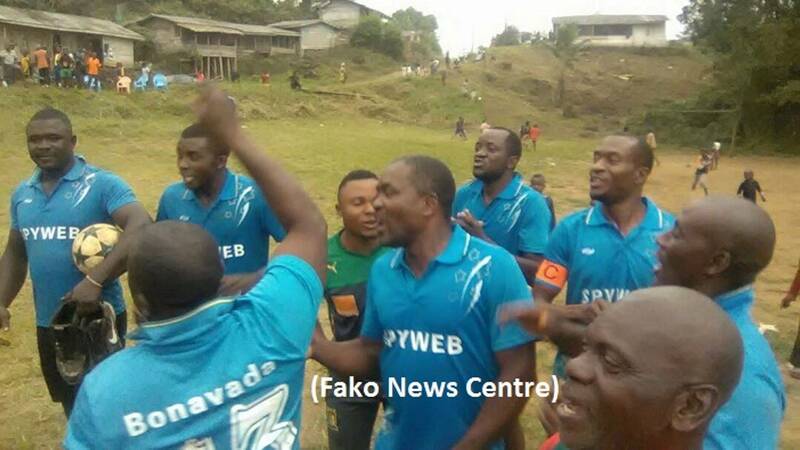 He added that the deceased who were honoured had contributed in many developmental projects in the BONAVADA community, especially in sporting activities. He hoped that this event will spur others to also come on board in lending their contributions to help the community grow. 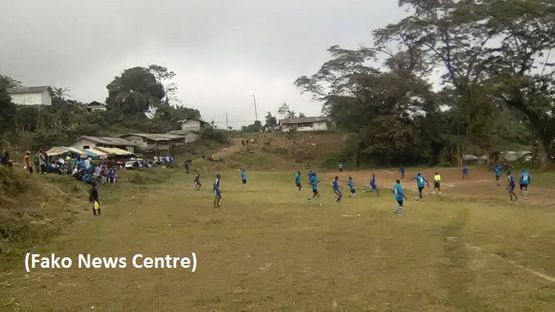 Another member of the organising committee, Mbella Neal, stated that they shall continue organising events to recognise those who make contributions to the development of the BONAVADA community. He claimed these events will also serve as a forum to bring them together and encourage their unity.